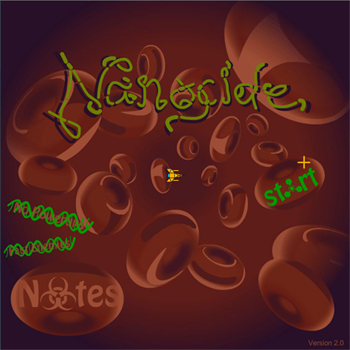 Nanocide version 2.0 is ready, with several improvements all round. Finally, a breakthrough allowed me to get the leaderboard system to work, after endless trials involving php scripts, mySQL, and an XML file to keep the Flash window void of error messages. Go Nanomek, go! More titles are forthcoming, but I won't abandon a game if a glaring mistake is found. Email me if you discover a bug or have a [constructive] suggestion. Have fun! ©2015 S. Michael White// You may not sell, re-host, or take credit for my work. Don't be a jerk. If you have something special in mind for anything you find on this website, send me a proposal. I just might agree to it.